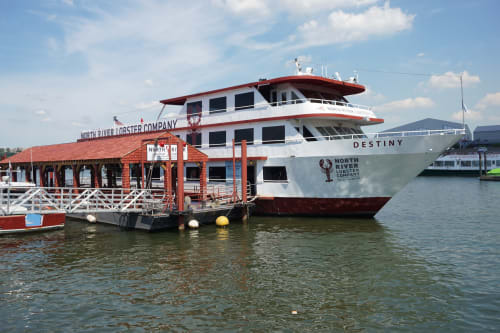 The Destiny is NYC’s only floating lobster shack and is also an ideal space for your next event. The rustic finish, buoyed walls and the delicious lobsters will transport you and your guests to a casual, relaxed and nautical atmosphere. The yacht features 600 square feet on each level which can accommodate up to 450 guests for the big parties, weddings, engagements and corporate events.